Historically, health care has been more task-oriented and focused on the delivery of prescriptive health. 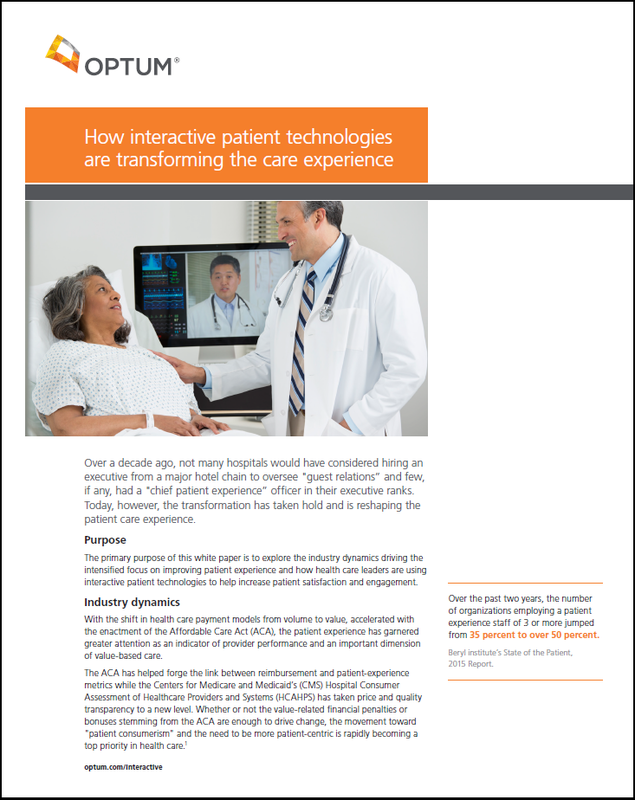 As hospitals move toward a patient-centric model, health care leaders must determine where Interactive Patient Technology fits and how it can help the satisfaction of their patients. Health care leaders who continue to explore various strategies in the clinical setting to improve patient satisfaction and engagement will be in a much stronger competitive position to thrive in a new age of value-based care and patient consumerism. Download this free white paper to learn more now.